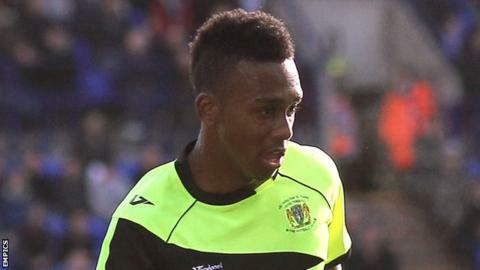 Forest Green Rovers scored two late goals as they fought back to beat Torquay and move to within four points of National League leaders Cheltenham. Aman Verma met a Dan Butler cross to side-foot the Gulls ahead. Ben Gerring then gifted Rovers the equaliser, bundling into his own net from a Keanu Marsh-Brown free-kick. Durell Berry's handball allowed Darren Carter to put the hosts ahead from the penalty spot and Marsh-Brown's swerving 25-yard effort made it 3-1. "People have got to realise - I've said it millions of times - that there are no easy games and Torquay are a difficult team to play against, obviously we found that out on Boxing Day. "But the togetherness at this club is fantastic and I don't think we would have got that win when I first got here - to go 1-0 down, we didn't panic, obviously the substitutions helped as they gave us a lot of life. "Maybe the last half an hour was great, no disrespect to the starting 11, but sometimes that happens and we've won 3-1 and now we can watch other results." Match ends, Forest Green Rovers 3, Torquay United 1. Second Half ends, Forest Green Rovers 3, Torquay United 1. Goal! Forest Green Rovers 3, Torquay United 1. Keanu Marsh-Brown (Forest Green Rovers) right footed shot from outside the box to the top right corner. Attempt missed. Elliott Frear (Forest Green Rovers) left footed shot from the left side of the box misses to the right. Assisted by Keanu Marsh-Brown with a cross. Attempt missed. Durrell Berry (Torquay United) right footed shot from the right side of the box is too high. Offside, Forest Green Rovers. James Jennings tries a through ball, but James Jennings is caught offside. Substitution, Torquay United. Shepherd Murombedzi replaces Exodus Geohaghon. Goal! Forest Green Rovers 2, Torquay United 1. Darren Carter (Forest Green Rovers) converts the penalty with a left footed shot to the bottom right corner. Penalty conceded by Durrell Berry (Torquay United) with a hand ball in the penalty area. Attempt blocked. Elliott Frear (Forest Green Rovers) right footed shot from the left side of the box is blocked. Attempt missed. Elliott Frear (Forest Green Rovers) right footed shot from outside the box is too high. Own Goal by Ben Gerring, Torquay United. Forest Green Rovers 1, Torquay United 1. Attempt blocked. Kurtis Guthrie (Forest Green Rovers) right footed shot from the left side of the box is blocked. Assisted by Keanu Marsh-Brown with a cross. Attempt blocked. Sam Wedgbury (Forest Green Rovers) right footed shot from outside the box is blocked. Substitution, Forest Green Rovers. Keanu Marsh-Brown replaces Jon Parkin. Substitution, Forest Green Rovers. Kurtis Guthrie replaces Brett Williams.